Listen to Money Making Conversations in Atlanta, GA, on the business news talk radio station biz 1190 AM. You can hear Money Making Conversations on Mondays from 10AM-Noon EST, Fridays from 10AM-Noon EST, and Sundays at 4PM EST. 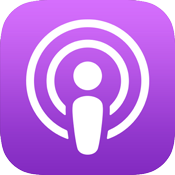 Money Making Conversations can be heard on the free Podcasts App for iOS. Simply search for Money Making Conversations and subscribe to get notified when new episodes are available. You can also download the episode to your library and listen without using your cellular data. Listen on your Mac or PC through iTunes. 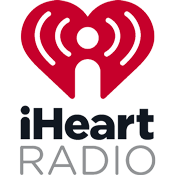 Money Making Conversations can be heard on iHeartRadio online or through the free iHeartRadio App. Search for Money Making Conversations or scroll through the Business & Finance podcast section. Stream unlimited music, thousands of radio stations and podcasts all in one app. Listen for free with ads or take control of your listening experience with iHeartRadio Plus™ and iHeartRadio All Access™. Listen to Money Making Conversations on SiriusXM Channel 142: HBCU every Friday at 7pm for new episodes; listen Monday at 4pm and Wednesday at 10am for repeated episodes. SiriusXM Channel 142 HBCU is a collective blend of programming from Historically Black Colleges and Universities about the black college experience. Listen to Money Making Conversations on SiriusXM Channel 141: H.U.R. Voices; a new episode airs every Friday at 10am and repeats Monday at 3pm and Wednesday at 12pm. SiriusXM Channel 141 HUR Voices offers exciting, educational and entertaining original programming that examines and explores issues that affect people of color, including a unique mixture of talk radio, local and national news, and great music. Money Making Conversations can be heard on SoundCloud, a music and podcast streaming platform that lets you listen to millions of songs from around the world, or upload your own. Start listening now on their free mobile app. SoundCloud Go+ lets you listen offline, ad-free, with over 150 million tracks — and growing. Listen to Money Making Conversations on Amazon’s virtual assistant, Alexa. On Alexa, you can steam podcasts, audiobooks, music, weather, traffic, sports, and more. Manage your podcasts by going to the Alexa app, selecting the menu bar, selecting Music, Video & Books, selecting tunin, and Podcasts. Money Making Conversations can be heard on Stitcher Smart Radio on their free app for iOS and Android or their online listening available at stitcher.com. Stream the latest in news, sports, talk, and entertainment radio anywhere, on demand. Stitcher is the easiest way to discover the best of over 65,000+ radio shows, live radio stations and podcasts. Stitcher Premium is a new premium subscription for ad-free listening. Pride and ego have stopped a lot of success stories.